The most recent national surveys on college student drug and alcohol use have revealed some alarming facts: one-third of full-time undergraduate college students in the U.S. drink excessively; cannabis use among college students is at the highest it has been during the last 30 years, with 1 in 5 students using cannabis in the past month; and 1 in 7 college students have misused a prescription drug during the past year. Annually, more than 1,500 students die from alcohol-related consequences, and hundreds of thousands more experience alcohol poisoning and non-fatal injuries. Harms to others in the form of assaults, impaired driving, and damage to community property are highly prevalent as well. Excessive drinking and drug use also has a negative impact on the foundational charge of the university: teaching and learning. Students who drink heavily four or more times over a two-week period are 10 to 16 percentage points less likely to have an “A” average than those who do not drink at all. Moreover, researchers have found that young adults who quit using cannabis after periods of daily use continue to experience cognitive deficits for up to a month after ceasing: Deficits in verbal learning took two weeks to return to pre-cannabis use levels, deficits in verbal working memory took three weeks, and attention deficits were still present at three weeks. Students who drink heavily four or more times over a two-week period are 10 to 16 percentage points less likely to have an “A” average than those who do not drink at all. The data paint a grim picture. But many colleges and universities across the country are rising to meet the challenge. In March, the Virginia Alcoholic Beverage Control Authority announced that public and private institutions across Virginia have joined forces with state and community agencies to create the Virginia Higher Education Substance Use Advisory Committee. The Committee will form a statewide strategic plan for substance use prevention and education at Virginia’s institutions of higher education by identifying best practices, collecting statewide data on rates of use from each school, and providing networking and training resources to individual institutions. Collaboration with neighboring schools and state partners is an indispensable component of a comprehensive prevention strategy. 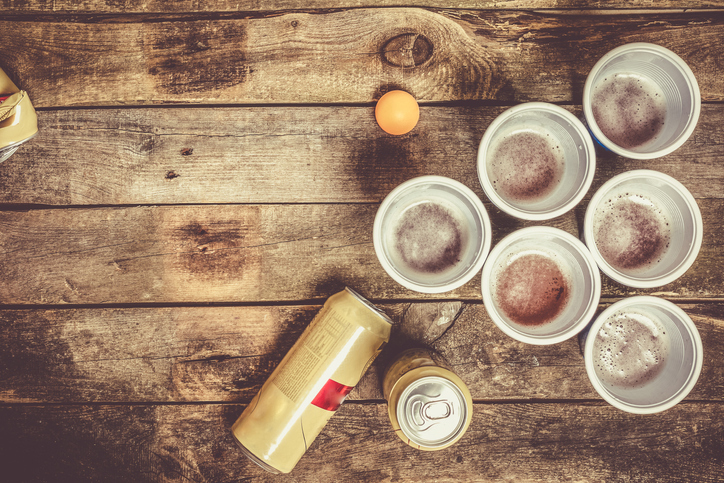 As similar initiatives like the Maryland Collaborative to Reduce College Drinking and Related Problems have shown, multi-school coalitions can influence statewide policy. In 2015, the Maryland Collaborative, a network of over 15 colleges and universities, influenced the Maryland General Assembly to pass a ban on the retail sale of extreme-strength alcohol, and in 2018, the state passed a ban on the sale of powdered alcohol. The data paint a grim picture. But many colleges and universities across the country are rising to meet the challenge. Collaboration at the individual campus level is also essential. By partnering with the Burlington, VT police force, the University of Vermont reduced police calls for noise, intoxication, and disorderly conduct in student neighborhoods by a third. The State University of New York–New Paltz joined together with local bar owners to change the way they advertised alcohol to college students to emphasize civic responsibility, and to discontinue inexpensive drink specials that were offered to compete with students’ house parties. These efforts resulted in better profits and fewer alcohol-fueled altercations and arrests in local drinking establishments. Tackling drug and alcohol use on campus can often seem like an overwhelming task for university leadership. But the burden cannot, and should not, be carried alone. The most cost-effective approaches to addressing this problem require coordination at various university levels, full support from the president and trustees, and collaboration with the community, other universities, and state government. Working together, college leadership can help to reduce the harmful effects of student drug and alcohol use, and can ensure that substance use does not interfere with the precious opportunity that college students have to learn and grow. ACTA’s upcoming guide for college and university trustees on addressing campus substance abuse will provide best practices to help university leaders develop effective prevention policies that can be tailored to their student bodies and campus communities.